I think you'll find it's the RYA that control them both so yes, you could be right. Seems Finn, 470 and RSX are in firing line. If the Finn went I would feel sorry for the bigger gentleman, as there wouldn't really be anywhere to go for those over 90 kg. Having said, the ladies only have one option in the radial, so maybe it should be the same for men? 470 would be a shame if it went. I think it's probably the closest to the average dinghy most of us sail. I would quite fancy a short handed offshore race though. I don't think the stadium racing has ever worked as you can never really get close enough for it to work. I think the best viewing is done by mounting cameras and technology on the boats; which gets easier the bigger the boat you have. I think following an offshore race from the opening ceremony to the closing one would make a good narrative too.... equipment cost and accessibility for third world nations would be a major sticking point for the IOC though. Petition to get sailing out of the Olympics anyone? 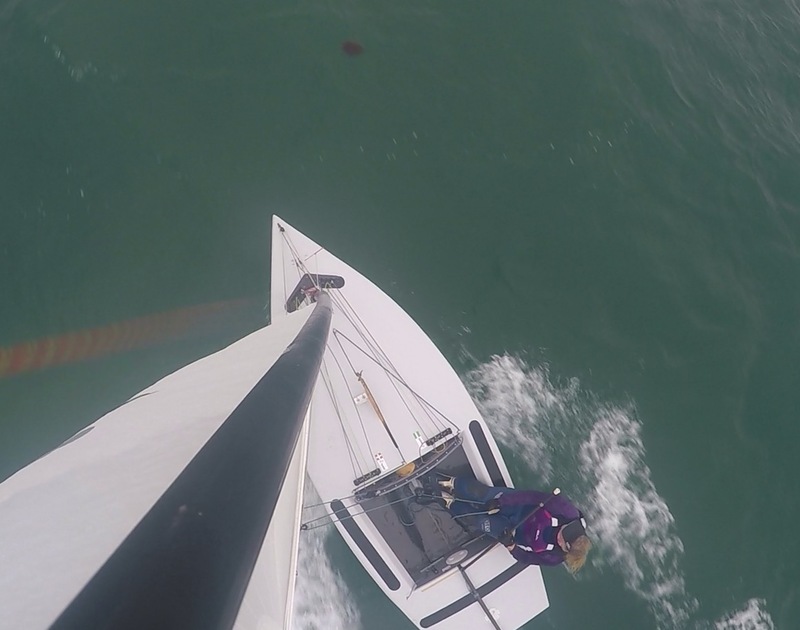 As far as windsurfing is concerned the RSX is like putting a keel on a 49er. Bring back Raceboards if it's course racing or, if the conditions can be reasonably guaranteed, do slalom, freestyle or waves. As far as windsurfing is concerned the RSX is like putting a keel on a 49er. As an outsider I can't really see any difference. Makes me think that it's probably like that for the general public with whether the 49er or a 470 gets picked. Bring back Raceboards if it's course racing or, if the conditions can be reasonably guaranteed, do slalom, freestyle or waves. If there is one aspect Olympics sports I don't like, it's judges. Higher, faster stronger. I get where you're coming from with that but pretty much the whole of Gymnastics has judges, Equestrianism too, and I'm sure there are others. The problem with the RSX is that it is neither one thing or the other, it's trying to be a formula type planing board with the CB up, but it's nearly double the weight, (it's actually 2.5 kg heavier than a much larger Raceboard). With the CB down it's trying to be a Raceboard but it's nearly 1.4 metres shorter so basically it's slow to plane, slow when planing, slow in displacement mode and, if many who have sailed one are to be believed, distinctly unpleasant to sail (much as a 49er with 80kg of lead underneath would likely be). Campaign for plain english anyone. It was deemed possible to change the names of the Events, so long as the nature of the Events themselves would remain unchanged, in a separate process in the future.